Market Research at Govgistics is unlike anything you have ever experienced before. The in-depth product data provided allows customers and our members to fully investigate the Cage Codes and NSNs or National Stock Numbers they are researching. Govgistics has done our research to provide market research for members and customers as easy as possible. 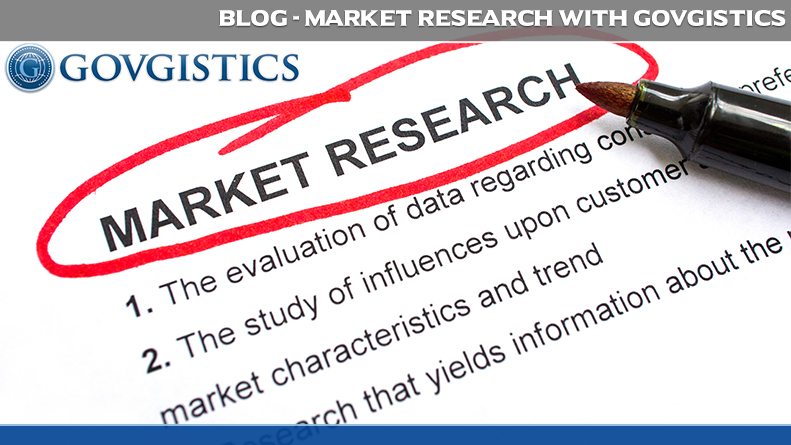 Management Data, Master Cross Reference Library, Procurement History, Freight Packaging, Interchangeability, Navy AEL/APL and Vender Summaries are just a few key essentials in one central location under market research. Govgistics provides micro and macro views about other companies to gain an edge in the market. Every time new data is gathered about CAGE code information, it is instantly refreshed to make your research accurate and as up to date as possible. This includes SAM registration (formerly CCR). In order for you to maximize your return in information, Govgistics makes the data customizable and exportable. 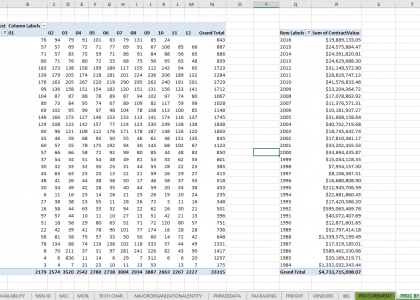 Tracking competition is one of the most valuable features the market research tool offers. Reports and research give information on new business opportunities as well as strengths and weaknesses in the market place through analytic reports and P&L for contracts awarded. More specifically, you will know who your competitors are (including their awards, part numbers, national stock numbers, prices at which they sell and more), who they did business with, what was sold, when and for how much. The design and graphic interface makes Govgistics user-friendly; aiding customers to be more productive. Sorting and filtering results are simple and will save you time giving you award history and contracts right at your fingertips. By registering as a member on Govgistics, you and your business will have access to the market research tool. Please register for a free trial! For more information, visit our website at www.govgistics.com. Every membership will always have the advantage of our customer service line at Govgistics. You are guaranteed a dedicated and knowledgeable expert available daily. Give us a call at (888) 322-6896 ext. 2212.